These are tricks I use all the time. 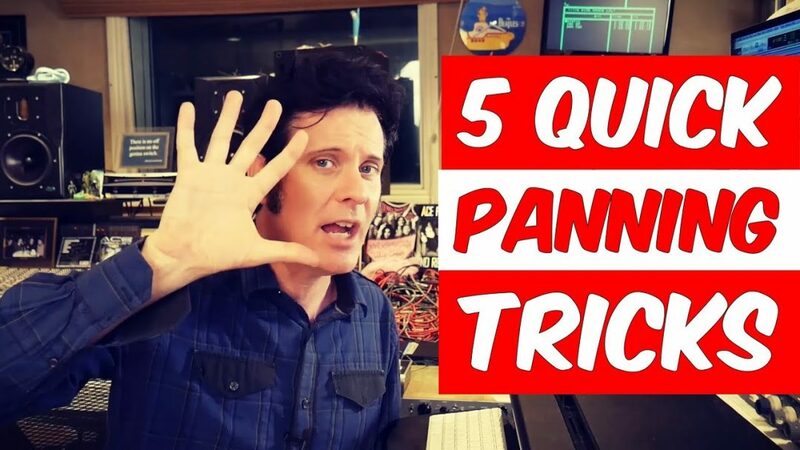 Even with only one guitar part you can create a lot of width with a simple combination of panning the guitar from close to the centre to the 100% left or right if there is an effected and slightly version of that same guitar panned opposite. Be careful to use a delay time that isn’t going to ruin the groove and also isn’t too short that it causes phase/polarity issues. In an earlier video I used technique and also applied a small amount of pitch change, this can really help increase the width and avoid potential phase/polarity cancellation. Taking a generic drum loop (even one that doesn’t seem appropriate!) timing it to the track, panning elements left and right, removing low end and distorting it creates percussion that moves the song along and creates yet more ear candy! Your headphones will love it! A exceptionally simple but effective technique to create more width and exaggerate choruses is to start with your BVs/Harmonies narrow around your lead vocal then pan left and right for added excitement. Reverse cymbals are an old trick, some of my favourite Queen tracks use it, ‘Death on Two Legs’ and ‘Play The Game’ in particular. Pan from one side to another, speeding up the pan at the very end adds urgency and exaggerates the effect leading to the chorus. Sections where instruments drop out will leave a lot of room for creativity! Here I panned a single guitar hard left and right. To reduce the excessive appearance of it and soften the hard panning I sent the guitar (pre fade) to a reverb.